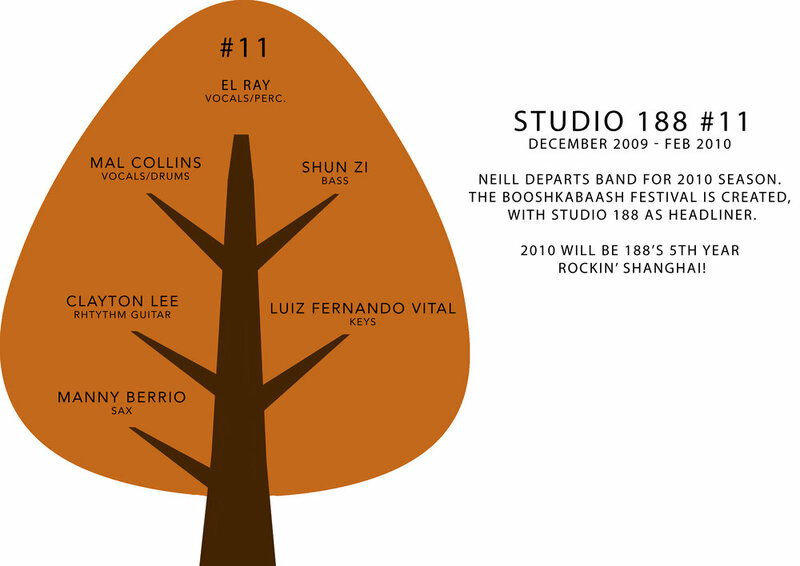 After a blistering 2018 and more than 50 shows around China; 2019 promises to be a benchmark year for Studio 188, our fifteenth anniversary! We are excited to welcome two new band members, phenomenal lead vocalist Kevin Maxim and the awesome drummer Pascal Naigom!! February will be spent learning a whole bunch of new foot-stomping hits; making for an awesomely, solid ten or sometimes eleven-piece show for 2019. Our comprehensive set lists cover the 60’s right through to contemporary hits, and everything in between. We customize shows to the audience we are playing in front of and stand equal to any cover band (and then some!) in Asia. 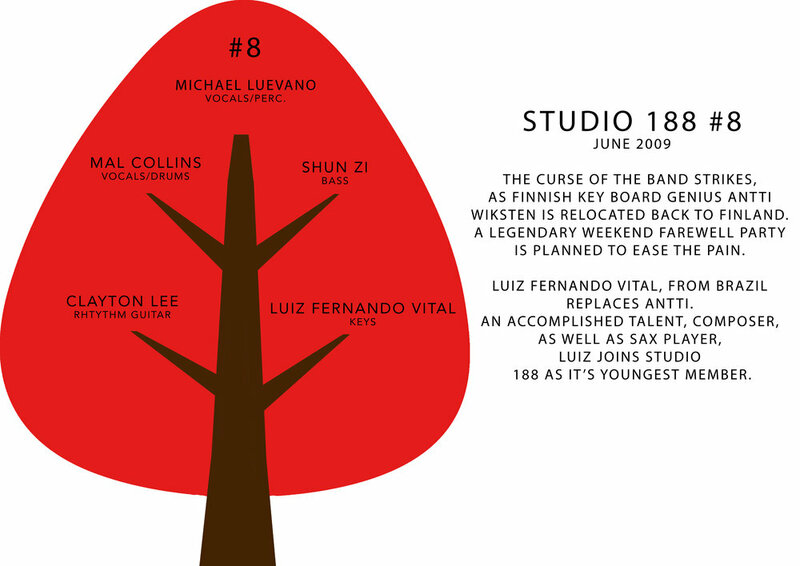 The name Studio 188 has created many urban legends. A club in New York? A modelling agency in Paris? A Feng Shui type of yoga retreat, what with those lucky 8’s and all? 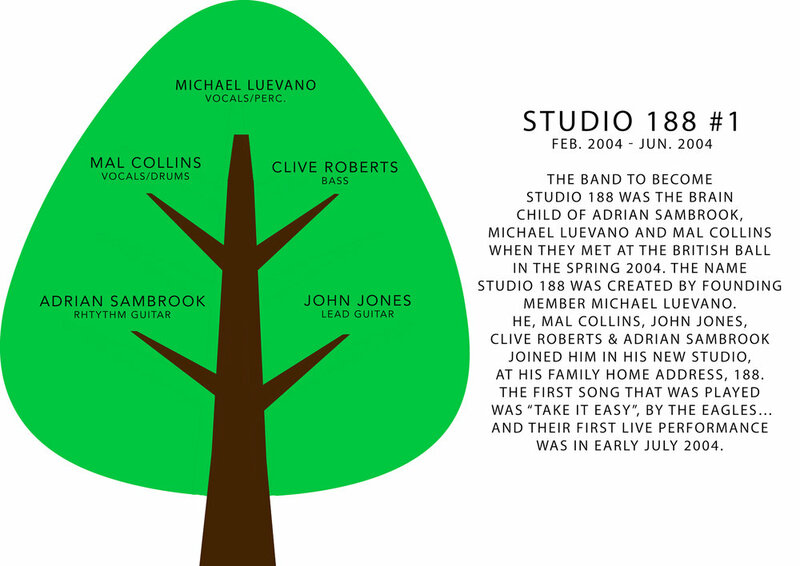 The name actually comes from the fact that the studio where rehearsals take place is in founding member Michael “El Ray” Luevano’s home… whose street number is 188. 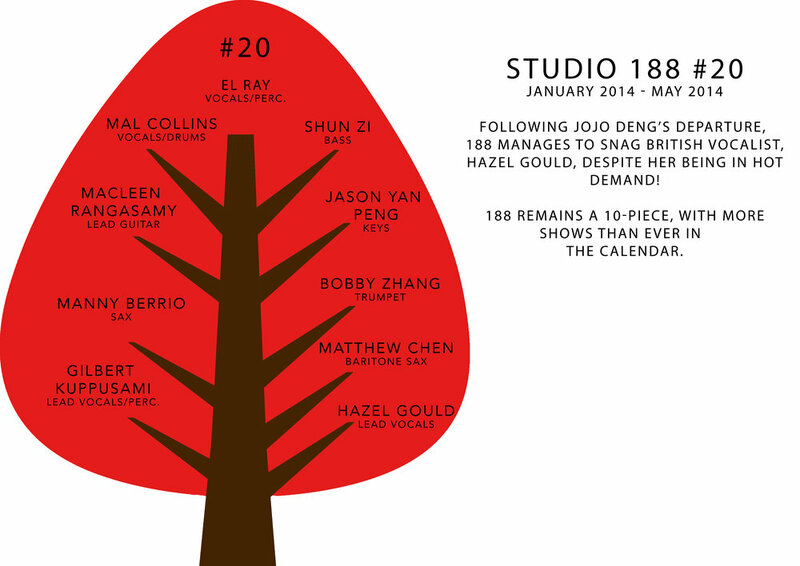 Hence, Studio 188! In June 2004 the band played its first live show at a local pub called “The Thirsty Monk”, a semi-religious experience to be sure. Original members Michael “Mal” Collins, Michael Luevano, and sound man, Neal Watkins still recall the night. “That was the smallest stage ever,” remembers Luevano. Over the last 13 years, the band has undergone significant changes in personnel (see our family tree) style and capabilities. 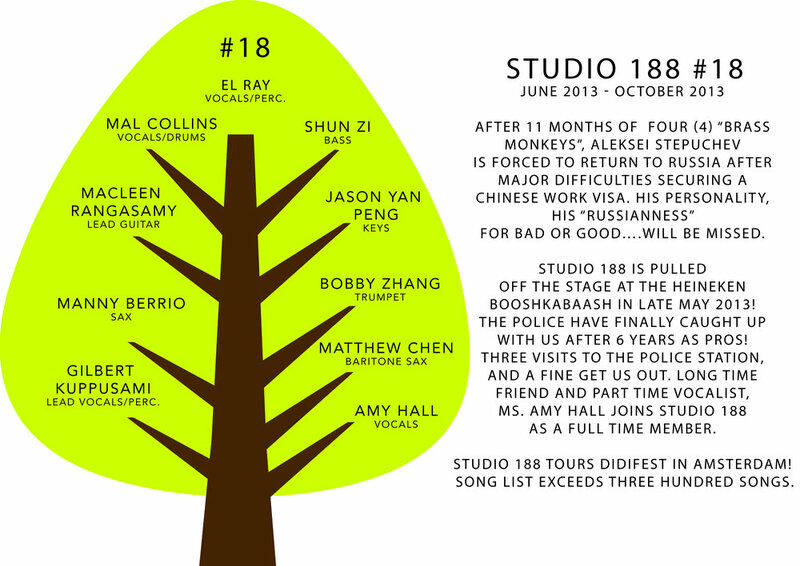 Studio 188 continues to enjoy the influences of a staggering array of nationalities and cultures, through the personnel it hosts and has hosted. It boasts the raw energy of Australia with the refined yet primal sounds of Latin America, stir all that up with the ambitious, exciting island sounds of Mauritius and the exuberance and eclecticism of the USA, sprinkle it with the polished cerebral traditions and sophistication of the UK and finish it off with the enigmatic cherry of brilliance brought by China. Oh, and it also has some Gringos too. Fifteen years later, the band is stronger than ever. 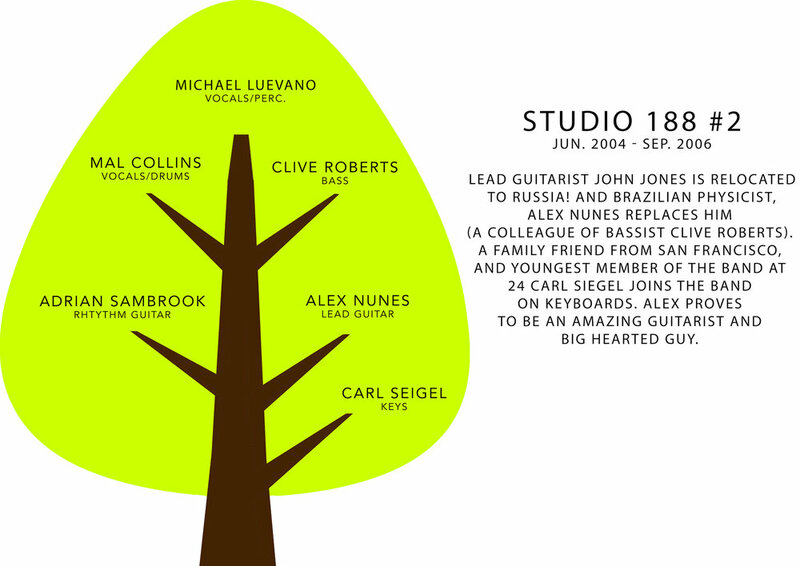 Having played over 750 shows to thousands, Studio 188’s reputation as a professional, hardworking and polished show band precedes each event and performance.